Genesis 10 states that every race upon the earth originated with the three sons of Noah; Shem, Ham, and Japheth. 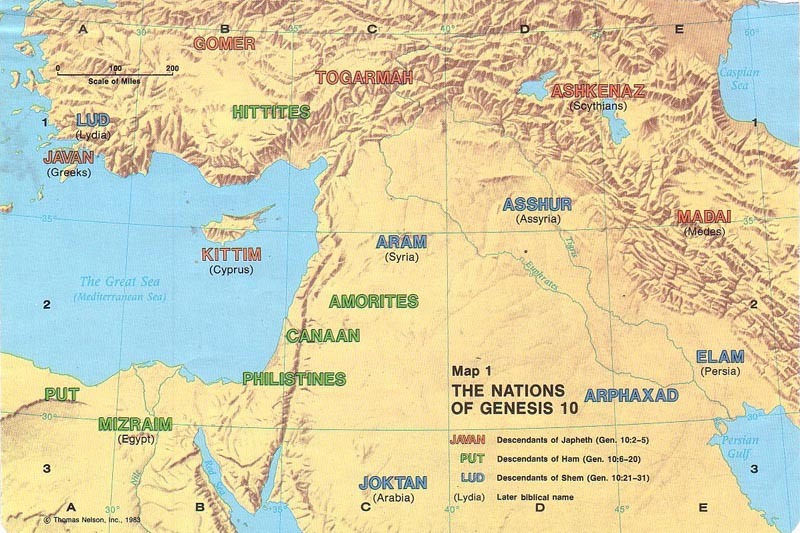 Genesis 10 lists a total of 70 original founders of the nations of the world or racial groups. They are all divided into 3 primary classifications: Shem, Ham, and Japheth. Although the subject of the classification of the nations and the origin of languages is highly controversial, ethnologists agree on one key point: that all of mankind can be divided into three basic groups. This entry was posted in Ancient Texts and tagged Bible, Noah on February 16, 2015 by ZSI.